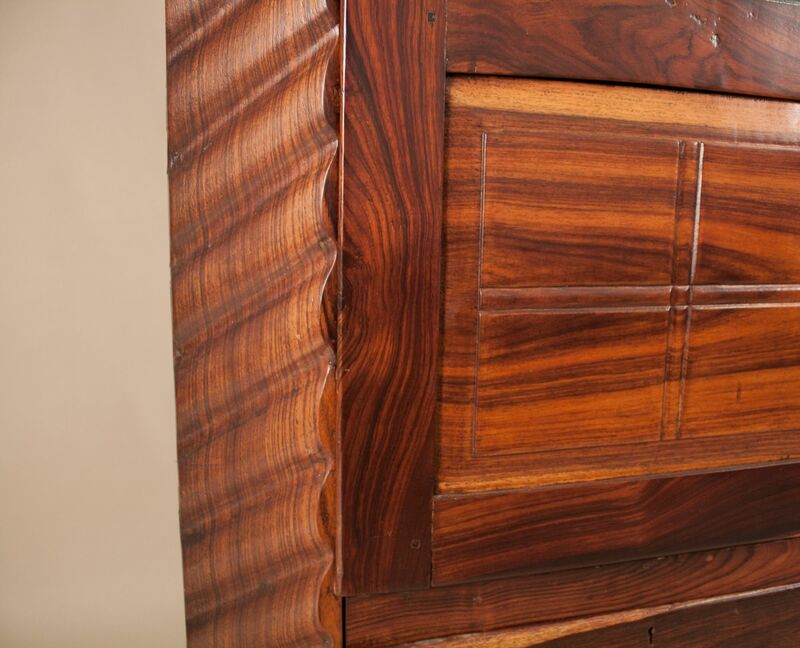 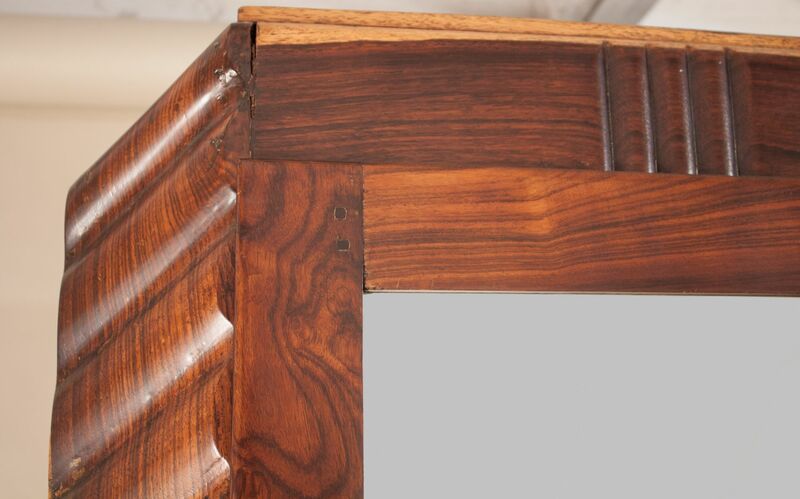 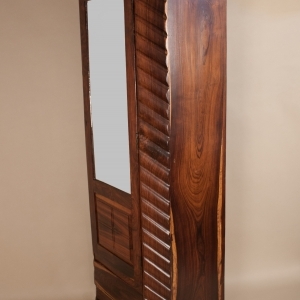 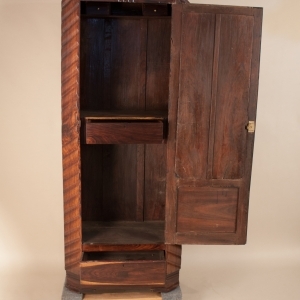 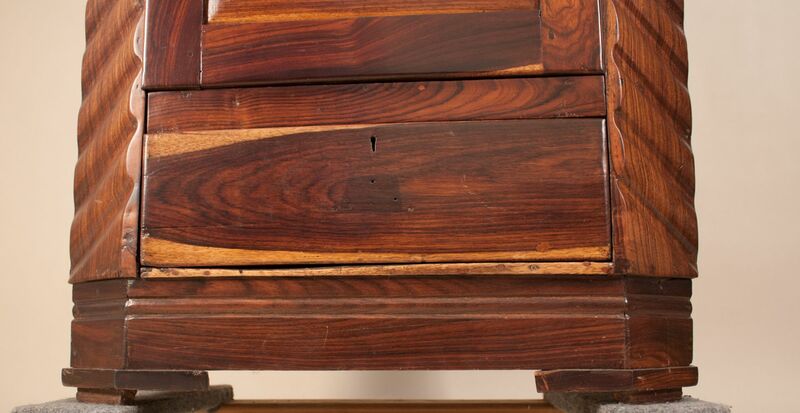 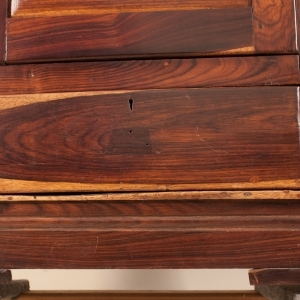 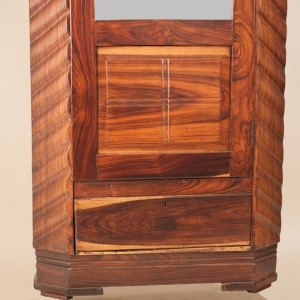 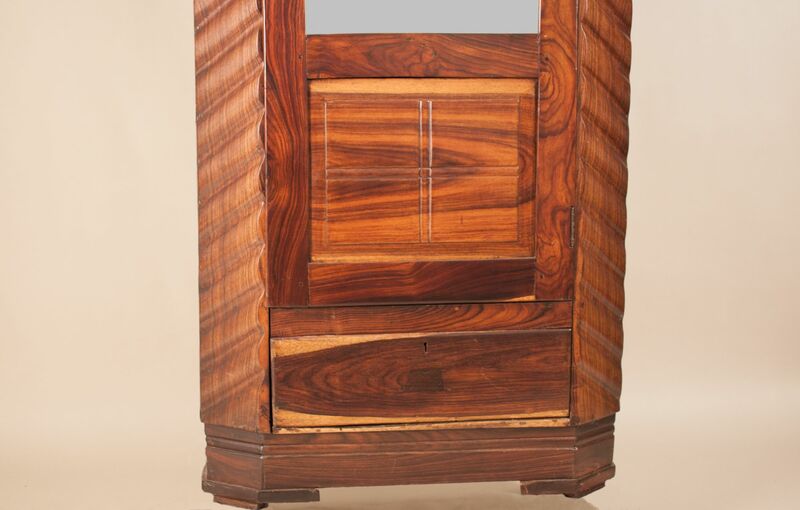 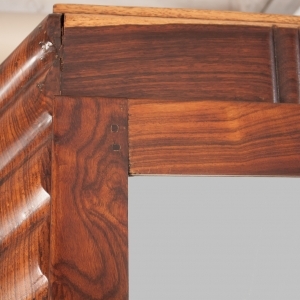 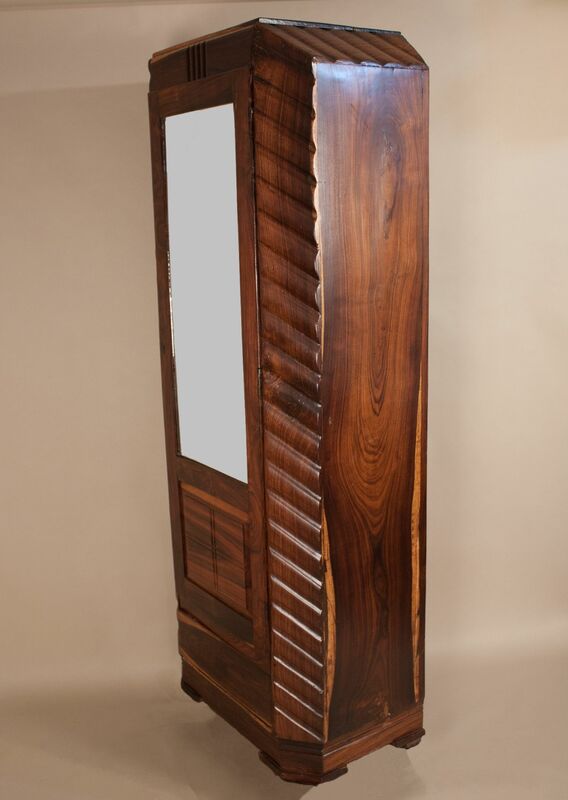 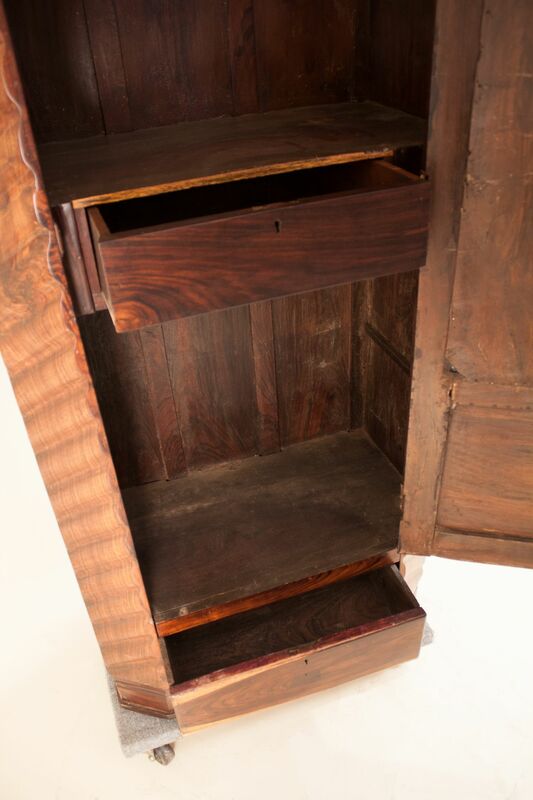 Tall, slender art deco wardrobe in rosewood with a rich grain and with interesting tonal variations. 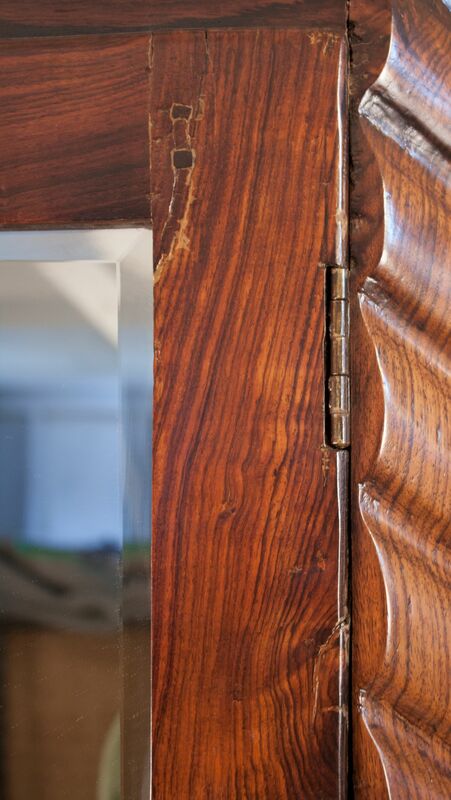 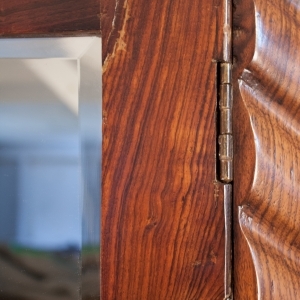 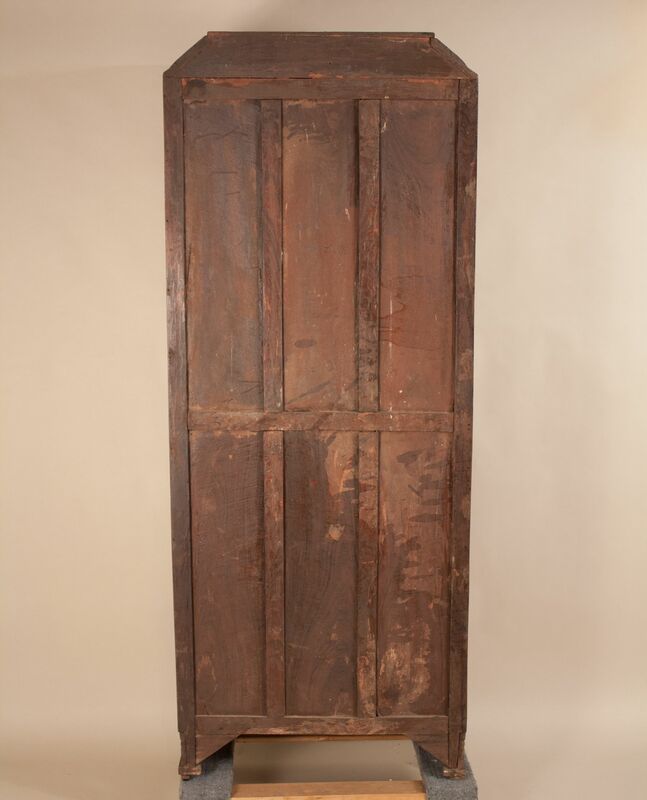 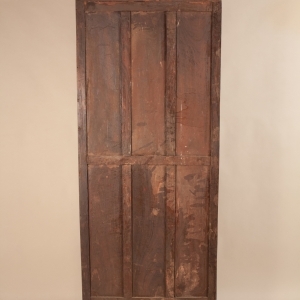 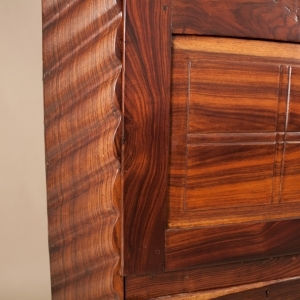 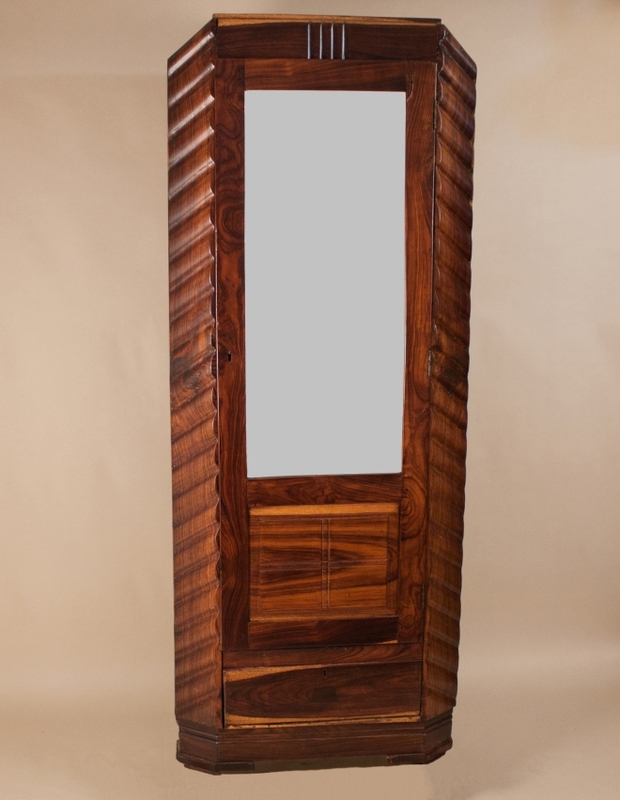 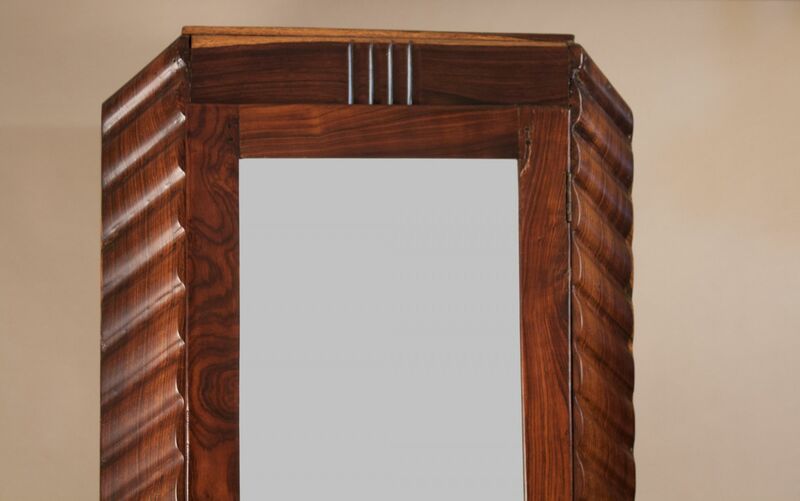 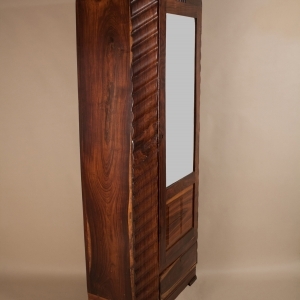 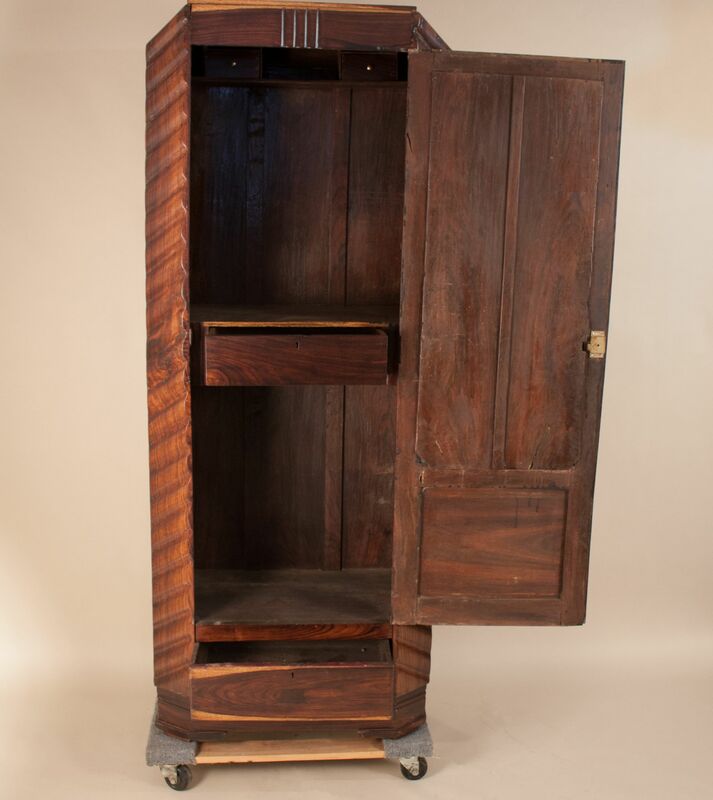 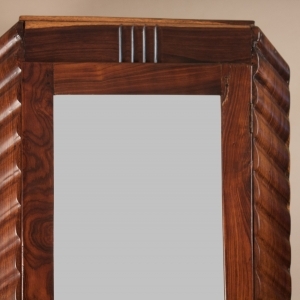 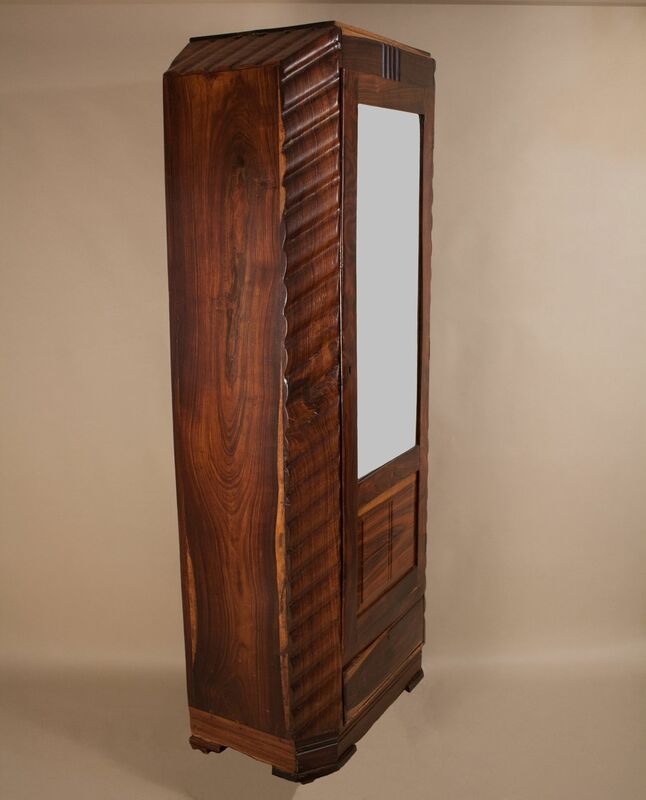 The cabinet is carved with a consistent wave pattern and has a flattering 3/4-length beveled mirror door with working lock and key. 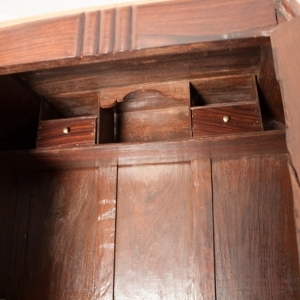 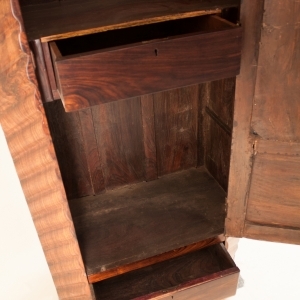 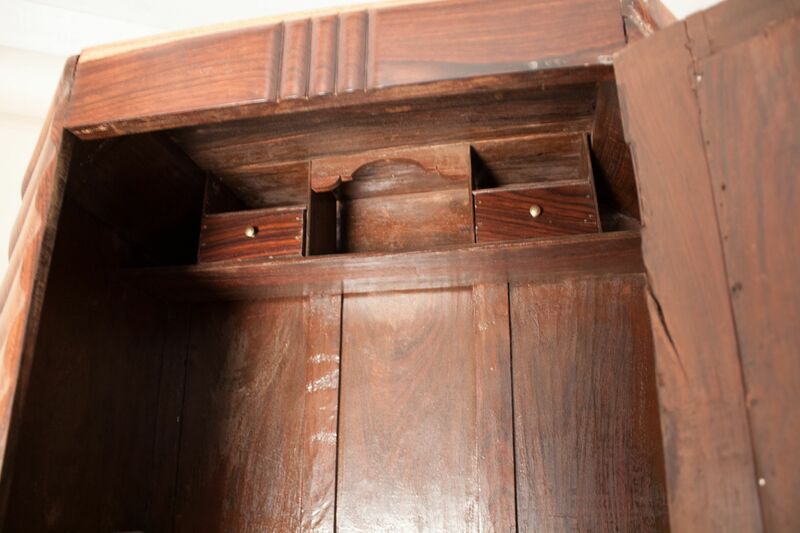 There are two drawers for additional storage, as well as small interior cubbies and drawers for personal effects.